Share the post "Healthy Juices To Lower High Blood Pressure"
High blood pressure means that your heart has to work harder to pump blood through your body. As a result it can increase the risk of stroke, heart problems, etc. A lot of people experience high blood pressure at some point in life, but really you can reduce your risk by making changes in your diet today. The National Institutes of Health recommends the DASH diet, which means Dietary Approaches to Stop Hypertension. The DASH diet emphasizes a diet rich in vegetables, fruit and whole grains, with decreased reliance on fats, sugars and processed foods. 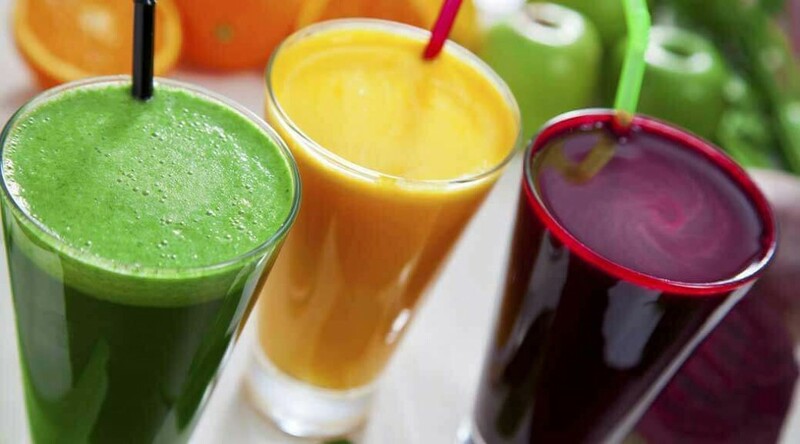 Vegetable juices are an easy and pleasant way to increase your daily intake of vegetables. It is much better to make fresh juices at home using a juicer or a blender. Below are the most common juices for lowering blood pressure. 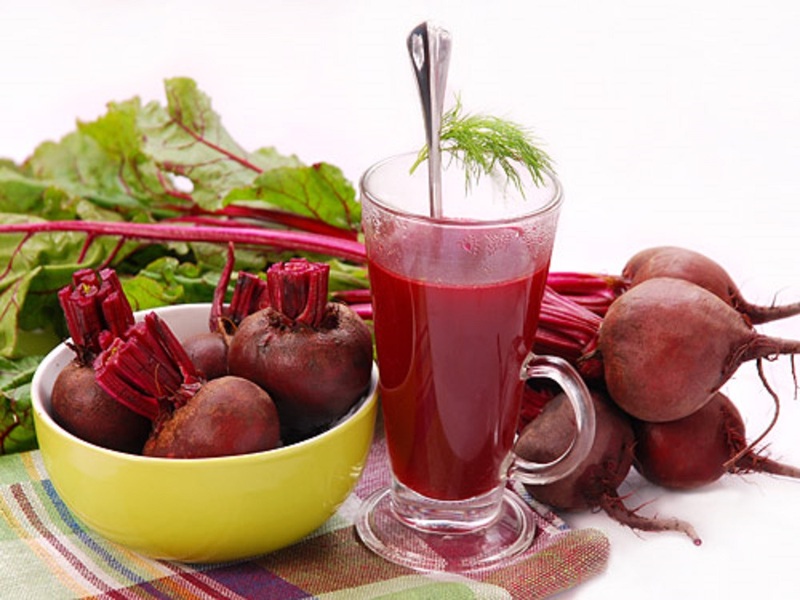 One glass of beetroot juice a day significantly lowered blood pressure in people with high blood pressure. Celery contains a phytochemical called phthalides. It relaxes the tissues of the artery walls to increase blood flow and reduce blood pressure. By eating just a raw celery stalk your fresh celery juice you also get fiber, magnesium and potassium to help regulate your blood pressure, as well. Chinese medicine practitioners have long recommended celery for treating high blood pressure. Hippocrates lauded celery juice as a remedy for nervous tension. The University of Chicago Medical Center (UCMC) is credited with one of the first studies of celery’s effects on blood pressure. the father of a scientist at UCMC experienced a drop in his blood pressure from 158/96 to 118/82 after just one week of eating about four stalks a day. According to legend, pomegranates grew in the garden of Eden, and the fruit has been used as a folk medicine for thousands of years. Pomegranate juice is rich in tannins, possesses anti-atherosclerotic properties, has anti-aging effects, and potent anti-oxidative characteristics. Pomegranate juice is considered a rich source of polyphenolic antioxidants and several previous studies have suggested that antioxidants compounds can reduce arterial stiffness. There is some evidence that drinking pomegranate juice every day may help lower systolic blood pressure (the top number in a blood pressure reading) but not diastolic blood pressure (the bottom number). Inexpensive and widely available, carrot juice is a good option for lowering blood pressure. Carrot juice has high lycopene content and is packed with antioxidants, Beta carotene, fiber and phenoloic compounds, which have been known to reduce the risk of vascular disease and lower the blood pressure. The high soluble fibre content in carrot reduces cholesterol, which helps in reducing blood clots and heart diseases. It is a good source of alkaline elements, which purify and revitalise blood, and balance the acid alkaline ratio in the body. Carrots also contain potassium, which helps to balance the high levels of sodium associated with hypertension and keeps blood pressure under control. Studies showed that drinking carrot juice can help to reduce systolic blood pressure, but has no significant effect on diastolic blood pressure. But carrot juice is high in sugar, which can exacerbate high blood pressure, so it is better to drink it in combination with other vegetable juices. Studies at Ben Gurion University in Israel where for 16 weeks investigators measured the effects of daily tomato extract supplements on 31 volunteers with mild hypertension showed that the extract reduced systolic blood pressure (the top number) by an average of 10 points and diastolic (the bottom number) by an average of four points, a significant decrease, according to the researchers. The researchers suggest that it may be the tomato’s antioxidants, including lycopene, beta carotene and vitamin E, that cause the benefits. Potassium, also found in tomatoes, has been associated with improved blood pressure as well. The U.S. Department of Health and Human Services recommends that adults get 4,700 mg. potassium daily, so one serving of tomato juice can help you achieve that goal. So, with all being said it is hugely beneficial for people to be able to take steps in controlling their blood pressure through non-clinical means such as eating vegetables and fruits on a daily basis. My mother needs this! Thank you for a useful article.